During their latest network event in Gentbrugge on 19th October 2017, VMx – the Flemish association for environmental professionals, handed out the awards for ‘best thesis’. 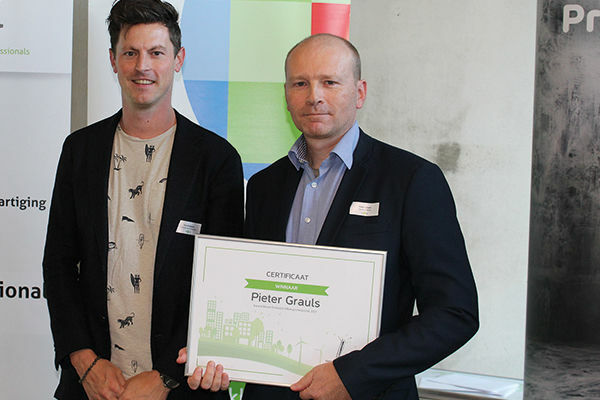 One of our alumni of the postgraduate program on Cleantech Management was among the winners. It was Pieter Grauls who won the award for best thesis in the category ‘environmental professional’. He currently works for Sertius and wrote a thesis about 3D printing as an alternative production process for sealing rings at Saint-Gobain Performance Plastics Kontich. He performed a techno-economic assessment for a first screening of the feasibility of 3D printing, including uncertainty analysis in order to give direction to investment opportunities at Saint-Gobain. Pieter analysed 3D printing both from an environmental and economic perspective. It is this combination that was appreciated the most by the VMx jury. 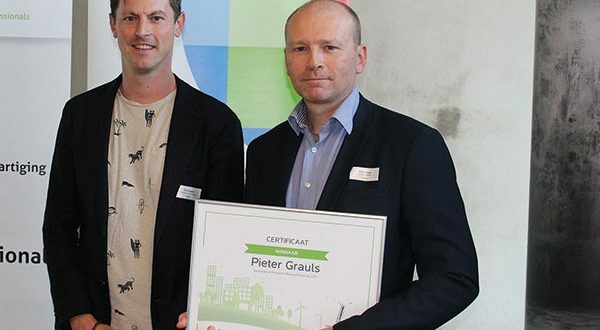 Pieter Grauls obtained the skills during his postgraduate program Cleantech Management of the UHasselt School of Expert Education, which is coordinated by the Environmental Economics research group of Hasselt University. This award confirms the importance of the methodological framework of societal techno-economic assessment for integrating environmental and economic analysis of clean technologies. The picture shows Pieter Grauls (right) with his proud promotor Tom Kuppens (left).